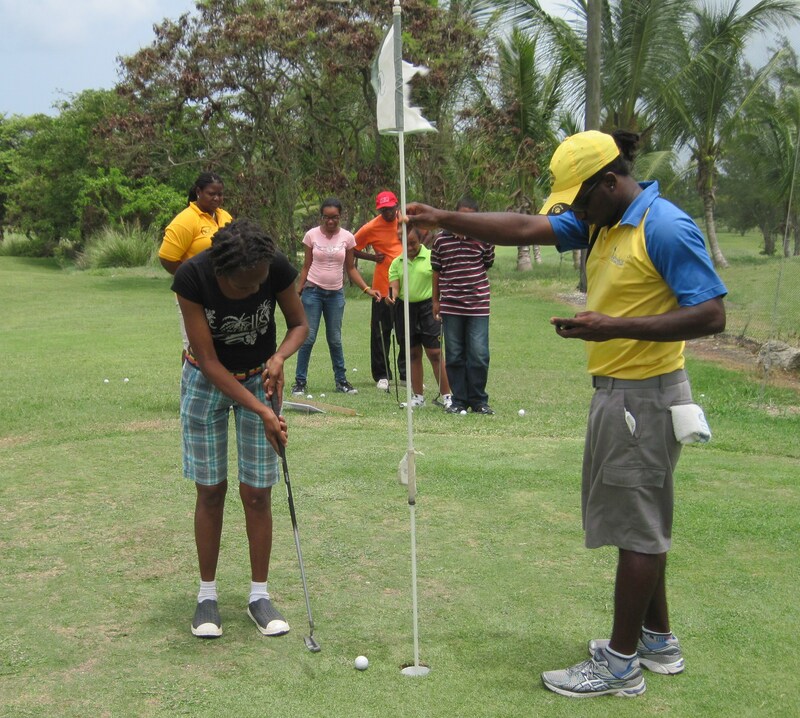 Special Olympics Holds a Four Day Golf Workshop & Clinic – Barbados Olympic Association Inc. The new coaches are excited too. In particular, those who are experienced golfers were extremely impressed by the talent and willingness to learn exhibited by the intellectually challenged Special Olympics athletes. The men and women who volunteered to offer their time and expertise as coaches underwent the classroom phase of their instruction under the direction of Special Olympics Barbados National Director Victor Chapman. At the completion of their training, which also involves a specified number of hours working directly with athletes, the coaches will receive certification from Special Olympics International. The certification will permit them to coach not only golf, but also any Special Olympics sports discipline in any location worldwide. The newly trained coaches are also joined by Antionette Sealy McGeary, a previously certified Special Olympics coach. Thanks largely to the efforts of Ben Hatch, Club Manager and PGA Head Golf Professional at Apes Hill Golf Club, five golf courses (Apes Hill Golf Club, Barbados Golf Club, Rockley Golf Club, Royal Westmoreland Golf Club and Sandy Lane Golf Club) are making their facilities available for practice sessions for the Special Olympics athletes. The training of the athletes is slated to continue at these courses throughout the summer and into the official September launch of the golf programme. Special Olympics Barbados is expanding its programmes in order to reach a greater number of intellectually challenged children and adults. As they learn new skills and enjoy the accomplishment that comes with that learning, they are building self-confidence and enhancing their inclusion in the larger society. Special Olympics Barbados is also preparing for the Special Olympics World Summer Games to be held in Los Angeles, California in 2015. Contributions to the Road to the World Games Fund, created by Digicel, will help Barbados send a team of athletes to the international competition. Donations can be made by dropping contributions into tins, which have been placed in all Digicel outlets and several other cooperating business locations nationwide. Donations can also be made directly to the Road to the World Games Fund at CIBC First Caribbean International Bank, account number 1001111009. Picture 1: Coach Ben Hatch, Club Manager at Apes Hill Golf Club, shows Special Olympics Athletes (left-right: Laura Sobers, Keisha Cruickshank, Justin Edwards, Ryan Sealy, Allysa Hussein) the fine points of the tee shot.